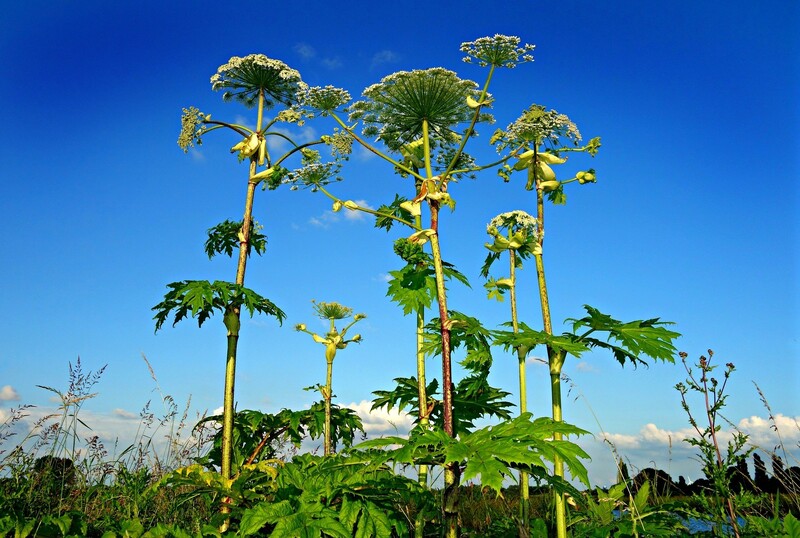 Giant Hogweed, the clue is in the name with this invasive plant. 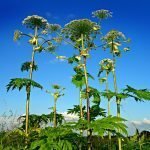 Under ideal conditions it can grow to a height of 18ft and is native to a mountain range between the Black and Caspian Sea. 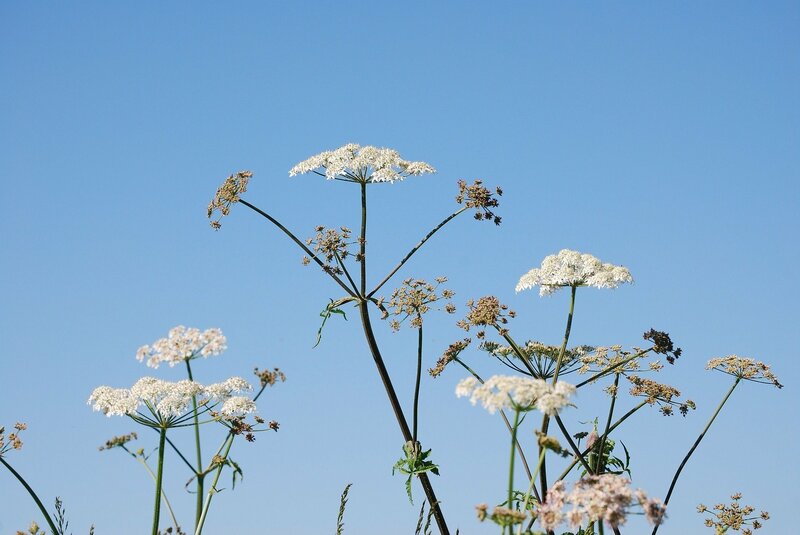 If the sap touches human skin, it breaks down our UV protection, causing skin inflammation. 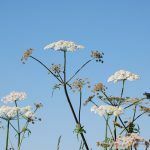 A relative of Cow Parsley, it escaped from cultivation and was first recorded in Cambridgeshire in 1828. The photosensitivity experienced from contact with the sap is caused by high levels of furanocoumarins. This causes a risk to public health. Councils will endeavour to remove the species if it has a possibility of meeting the public, for example at parks. 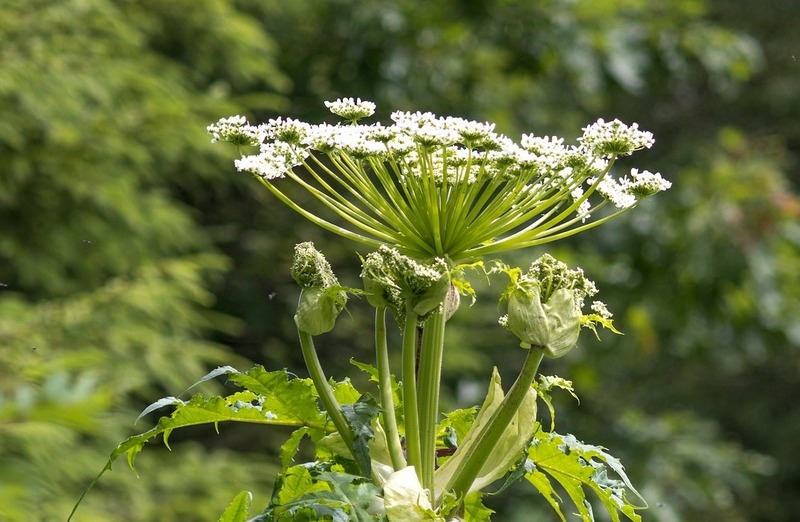 We can remove this plant along with any possibility of it returning. 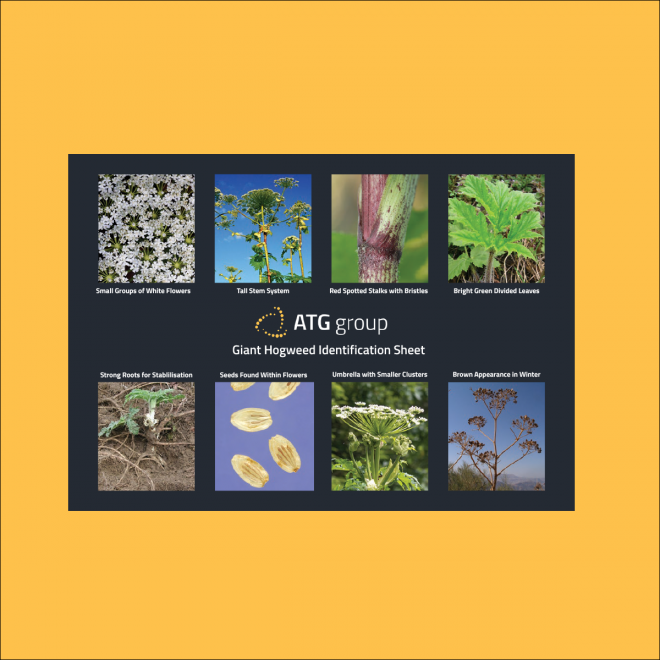 If you think you have Giant Hogweed on your site, we can complete a free survey and provide you with all the options available for treatment and removal. 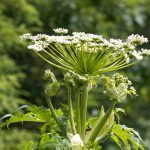 Download our free identification sheet to help you confirm the presence of Giant Hogweed on your property.